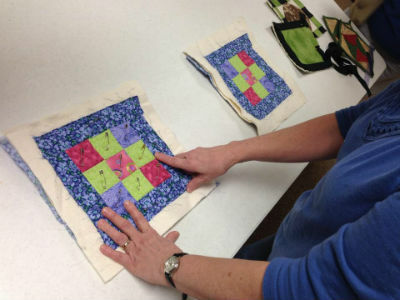 Quilting at Meade Station Church of God. 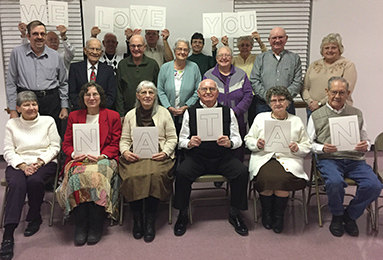 Northside supporters holding up “We love you…” signs. 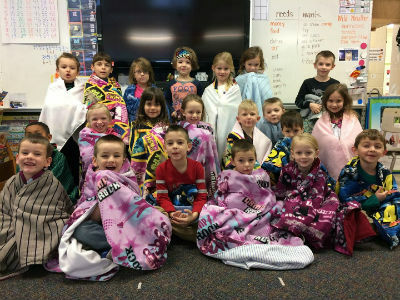 Photo: School children blessed by the quilting ministry. 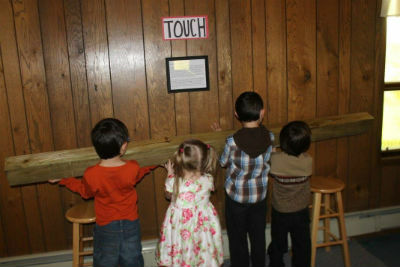 Photo: Children lift the cross beam at Main Street Church of God.